On this page we celebrate Iron's progeny. Before Iron came to live with me he was mated in January, 2014. This resulted in a litter of puppies born on March 30, 2014. Again on May 10, Iron's first litter of puppies were featured in Sydney's Daily Telegraph to promote Dr Katina's new website. Baby Astrid from Iron's first litter blitzed the Sydney show ring on her debut outing on July 5. ﻿Baby Louka fro﻿m Iron's first litter also did well in his ring debut on July 5. ﻿Shadowmere Kennels' policy is to always accept back any dogs we have sold/bred if the owner's circumstances change. So, from time-to-time we may have older dogs available.These dogs will only be released to homes where they will be treasured for the remainder of their lives. PLEASE NOTE - the dogs will be desexed prior to leaving our property. There are NO dogs available at this stage, but watch our website for further information. 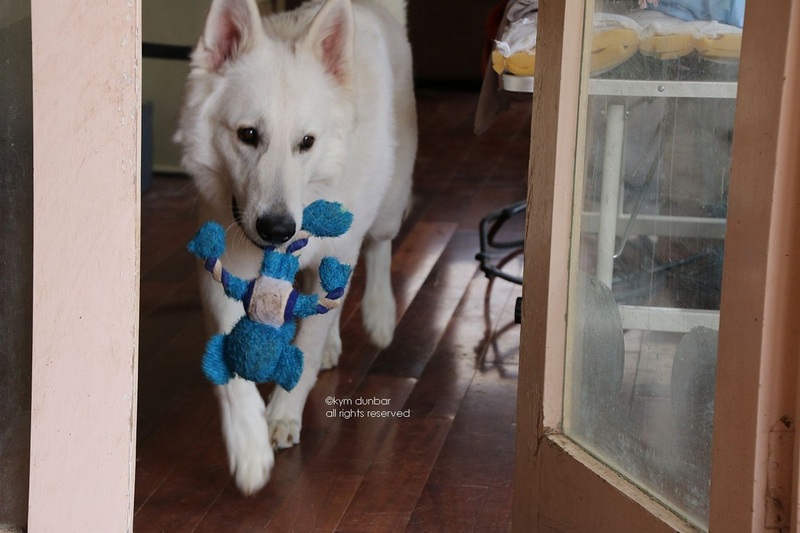 We are in contact with other White Swiss Shepherd kennels around Australia, and they may have something so please contact us if you want an older White Swiss Shepherd email.